As the saying goes, time is money. Don’t waste time when deciding how to relocate your business. Trust a reliable, moving experts to ensure the transition goes as quickly and seamlessly as possible. 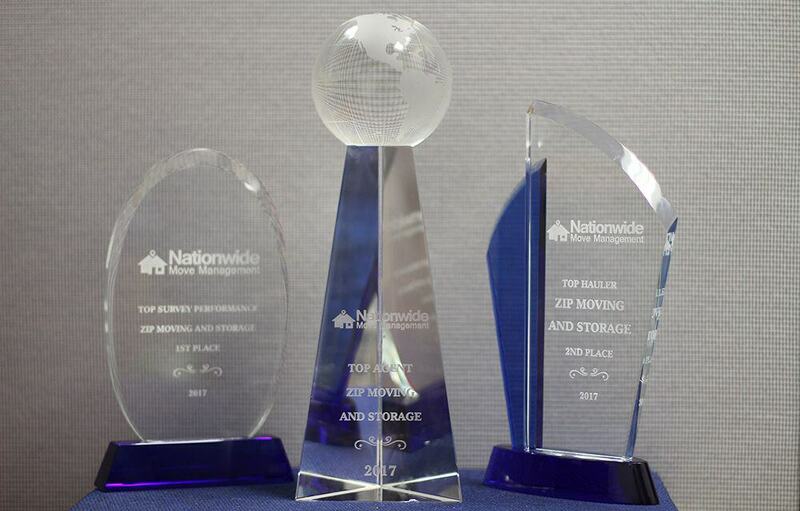 The experience and professionalism of Zip Moving & Storage will translate to peace of mind for you and your customers. To demonstrate our efficiency at this task we have created a helpful outline to help you with the big move. First, decide on the most suitable time for your move. Set the date which makes the most sense depending on your business operations. Consider when your customers count on you. Perhaps one weekend is enough for the move, this is often ideal for businesses open Monday-Friday. If the business is heavily frequented on the weekends, determine the slower week days for a possible move date. Even if most of your business is done online, it is common courtesy to let your customers know you have improved your headquarters. Furthermore, you must inform all the vendors, suppliers, utilities and tax/government services about your new location. Take the time to reach out to customers, old and new, that your office is growing and changing. Employees may need to exercise patience for the duration of the move. Location and commute may cause some friction as employees settle into the new premises. Notify employees as soon as the move details are finalized to ease the transition. Be sure to remind your team when the move is imminent and verbalize exactly you expect from them during this period. We take care of disassembly and assembly of some of your office furniture for a the safe move. First of all, you will need to know how much the moving process is going to cost you. This depends on many variables, including the moving distance and the amount of work involved. You may be surprised to learn that you can receive an estimate without ever leaving your office. Simply call Zip Moving & Storage to make an appointment. One of the moving professionals will arrive at the address and provide you with a free estimate. You can also make a video estimate by walking through your inventory on your own. Send it over and soon you will receive a response with an accurate quote. Both services are completely free of charge. You will feel confident that all your valuable office items are protected from potential damage when you have a team of experienced workers on your side. Count on Zip Moving & Storage to protect and pack your items and move the various furniture pieces you are relocating. Just leave everything to the professionals. Many customers are amazed at just how fast a huge desk or a filing cabinet can be disassembled and reassembled. All of the vehicles utilized by Zip Moving & Storage are specialized for both short and long distance moving. Complicated or heavy cargo is no match for the expertise and top of the line equipment. Occasionally it makes sense to keep items in temporary secure storage. In that case, rest assured that you are receiving a good deal and a safe location with Zip Moving & Storage. First, a thorough inventory of the items is taken and then the belongings are placed in a highly protected storage location until you decide to claim them.